Pow! Crash! Destructive environments! Obligatory time travel 10 Time Traveling Video Games to Explore Past and Future 10 Time Traveling Video Games to Explore Past and Future Want to visit the past or explore the future? These ten games featuring time travel will take you on adventures to another dimension -- leave the present behind! Read More ! Yes, superhero games are awesome, bringing the worlds of super power-bearing heroes and villains from the pages of a comic book to your favorite gaming device. 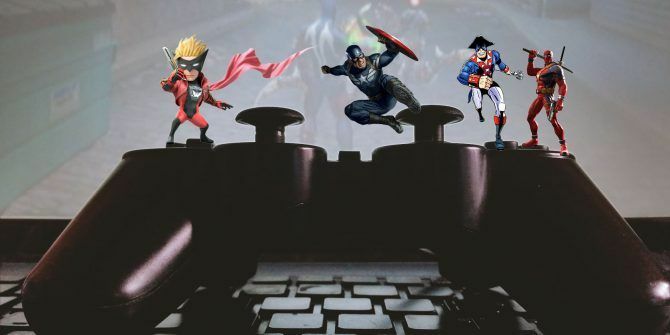 Some superhero video games Be All Powerful: 3 Superhero Games You Need To Play Be All Powerful: 3 Superhero Games You Need To Play Tired of dark fantasy and science fiction games flooding the market? There exists another genre that can quench your thirst for heroism: the superhero game. Read More are more popular than others, however. Over the years, we’ve seen countless titles featuring mutants and aliens with unusual abilities. Consequently, players have overlooked many of these in favor of big-hitting titles, often movie tie-ins. Today we want to bring justice to these unfairly maligned five great superhero games. Have you heard of The Wonderful 101? Because the game is a Wii U exclusive 10 Must-Play Wii U Games in 2016 10 Must-Play Wii U Games in 2016 Want to see what games you can play on your Nintendo console this year? Here are ten Wii U console exclusives you can play in 2016. Read More , few have. After all, you’re more likely to play Mario Kart 8 or Star Fox: Zero if you own a Wii U. But The Wonderful 101 is a superb squad-based superhero game, evoking 1980s superhero comics with its bright isometric world and regular alien invasions. Its gameplay is unusual, giving your characters the ability to “unite morph” into objects that can help defeat the enemies or solve puzzles. In addition, you can also rescue normal citizens and add them to the team of superheroes, increasing morph powers. You can enjoy The Wonderful 101‘s challenging single-player mode or join with up to five players in co-op. Like all the best Wii U games, The Wonderful 101 makes use of the GamePad How to Use a Wii U Gamepad With a PC How to Use a Wii U Gamepad With a PC The classic Wii U gamepad can be used to play games on Windows . . . and it's a lot easier than it sounds. Read More . In this case, you can use it to organize your team’s formation. You may not know 4 Failed Video Game Mascots You've Probably Never Heard Of 4 Failed Video Game Mascots You've Probably Never Heard Of Everyone knows about Mario and Sonic, but there have been plenty of weird mascots that didn't catch on. Let's talk about a few and see why they failed. Read More Spawn, as he doesn’t exist in the Marvel or DC Comics universes. However, he’s been a popular character since his 1992 launch, and this hero-based video game is based on a run of his comics (issues 1-99). With fast combat, Spawn: Armageddon puts you in control of one of the most unique comic book heroes of all time. As such, you get to wield the Agony Axe, his trademark chains, and various weapons designed to take down demons. Completing the game means uncovering the nature of a green light seen in the early stages, while war rages between demons and angels. While it released to mixed reviews, as superhero games go, Spawn: Armageddon gets quite intense despite the repetitive combat. You probably missed Captain America: Super Soldier at the time of its release, as Batman: Arkham Asylum was still fresh in everyone’s minds. Consequently, this Captain America movie tie-in got swept under the rug. This is a shame, as you shouldn’t miss Steve Rogers’ first video game outing as part of the Marvel Cinematic Universe. Gameplay is straightforward. You’ll take control of Cap as he is pitted against Baron von Strucker, Madame Hydra, and division after division of Hydra soldiers. Since this is a movie tie-in, the game is set during the middle of the Captain America: The First Avenger. That means you’re controlling the “younger” Steve Rogers during the WWII campaign segments of the film, before the movie’s finale. Love Marvel comic heroes? 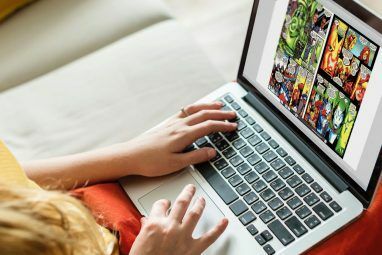 Check our guide to reading comics online for free The 10 Best Ways to Read Comics Online for Free The 10 Best Ways to Read Comics Online for Free Comic books aren't cheap to buy. 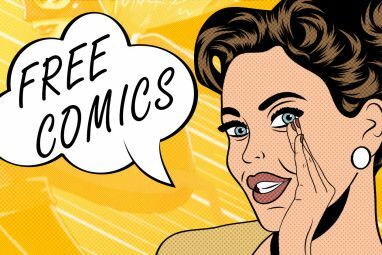 However, you can save some money by using these sites to read comics online for free. Read More . Many consider Freedom Force the greatest video game experience of all time. 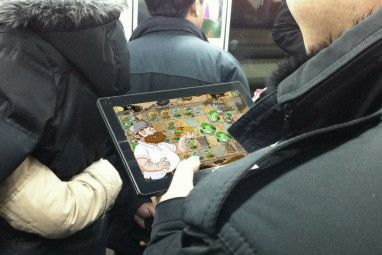 As a real-time strategy game 5 More Free Browser Strategy Games That You Can Play for Hours 5 More Free Browser Strategy Games That You Can Play for Hours Looking for free and deep browser strategy games? These five strategy games play right in your browser, offer complex gameplay, and will keep you hooked for hours. And they don't cost anything! Read More , with top-down, adjustable views and a diverse team of talented heroes, this game is just plain fun. An affectionate parody of the Silver Age of comics, Freedom Force also features great voice acting and memorable dialogue. By the way, are you a fan of superhero comics? Freedom Force was released alongside a ten-part series of comics, which are extremely difficult to get hold of. If you enjoy this game, also consider Freedom Force vs The Third Reich (2005), a Nazi-themed sequel. Paying homage to Captain America’s Hydra, your team of heroes encounter the feared Third Reich, while a bunch of WW2-era heroes jump into the mix. Naturally, this comes with another generous dose of time travel. Both games are great, but are Windows-only. Sadly, users have reported some problems when purchasing from Steam. If you get the original discs, but run into issues on Windows 10, installing on an older version of Windows How to Use Old Games and Software on Windows 10 How to Use Old Games and Software on Windows 10 Old games and software can struggle on Windows 10. Try these tips to get your old PC games and programs running on Windows 10. Read More in a virtual machine should fix it (see our guide to VirtualBox How to Use VirtualBox: User's Guide How to Use VirtualBox: User's Guide With VirtualBox you can easily install and test multiple operating systems. We'll show you how to set up Windows 10 and Ubuntu Linux as a virtual machine. Read More if you’re new to virtualization). Interestingly, purchases from GOG don’t have the problems attributed to the Steam version. Set within the Marvel Universe seen in the comics and (most) cartoon series, Marvel: Ultimate Alliance features many recognizable superheroes and their nemeses. Gameplay requires you to select teams of four from a roster of 22 heroes and deal with the threat posed by Dr. Doom and many other villains. Taking you on a trip to the Skrull home world to “borrow” some hardware from Galactus, and featuring a cameo from the Silver Surfer, Marvel: Ultimate Alliance is one of the most memorable superhero video games ever made. Dr. Doom’s conquest of Earth raises the stakes considerably. Meanwhile, you gain bonuses when forming “classic” team ups, such as the Fantastic Four, the Avengers, or the X-Men (fans of the X-Men should check these five websites Now Playing: 5 "Astonishing" Websites For X-Men Fans Now Playing: 5 "Astonishing" Websites For X-Men Fans If the X-Men leave you "X-Statix", there are plenty of ways to indulge your passion. Turn to the Internet. It showcases the mutant race in a fun and thorough way. Read More ). Look out for alternate endings of the game, affected by the number of optional side missions you take. Although a classic game, you can also purchase the 2016 re-release of Marvel: Ultimate Alliance for Windows, Xbox One, and PlayStation 4. What Are Your Favorite Superhero Video Games? For every Batman: Arkham game, there’s a forgotten superhero title that deserves your attention too. These top superhero games are definitely worth revisiting, but which other ones would you recommend? Do you agree with this list, or are there super-powered mutants with a vigilante bent whose pixels you prefer? Tell us in the comments, faithful reader! Explore more about: Adventure Game, Comics. I really loved DC Universe Online. It has some great features that other MMOs should incorporate. I highly recommend it. No love for Sentinels of the Multiverse? It's a full implementation of a great tabletop game, featuring an original set of characters and a backstory rich enough to support a ~2 hour weekly podcast from its creators.